Nanometer-sized “drones” that deliver a special type of healing molecule to fat deposits in arteries could become a new way to prevent heart attacks caused by atherosclerosis, according to a study in pre-clinical models by scientists at Brigham and Women’s Hospital (BWH) and Columbia University Medical Center. These findings are published in the February 18th online issue of Science Translational Medicine. Although current treatments have reduced the number of deaths from atherosclerosis-related disease, atherosclerosis remains a dangerous health problem: Atherosclerosis of the coronary arteries is the #1 killer of women and men in the U.S., resulting in one out of every four deaths. In the study, targeted biodegradable nano ‘drones’ that delivered a special type of drug that promotes healing (‘resolution’) successfully restructured atherosclerotic plaques in mice to make them more stable. This remodeling of the plaque environment would be predicted in humans to block plaque rupture and thrombosis and thereby prevent heart attacks and strokes. In this study, targeted nanomedicines made from polymeric building blocks that are utilized in numerous FDA approved products to date, were nanoengineered to carry an anti-inflammatory drug payload in the form of a biomimetic peptide. Furthermore, this peptide was derived from one of the body’s own natural inflammatory-resolving proteins called Annexin A1. The way the nanomedicines were designed enabled this biological therapeutic to be released at the target site, the atherosclerotic plaque, in a controlled manner. Researchers note that in addition to their specific ‘sticky’ surfaces, their small sub-100 nanometer size is also a key property that facilitates the retention and accumulation of these nanoparticles within the plaques. 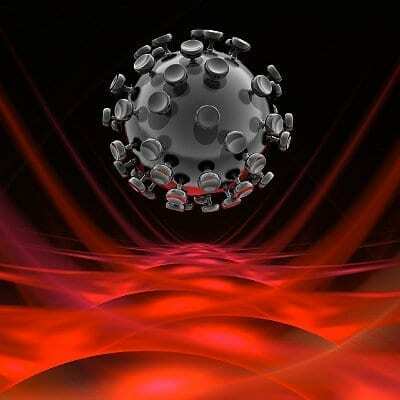 These nanoparticles are 1000 times smaller than the tip of a single human-hair strand. “These nanomedicines are developed using biodegradable polymers that can break-up over time in the body using the bodies natural mechanisms, and can be nanoengineered using scale-able chemistries and nanotechnologies, which ultimately can facilitate their rapid translation to the clinic,” said co-lead author Nazila Kamaly, PhD, instructor in the Laboratory of Nanomedicine and Biomaterials at BWH and HMS. Researchers caution that although plaques in mice look a lot like human plaques, mice do not have heart attacks, so the real test of the nanoparticles will not come until they are tested in humans. “In this study, we’ve shown, for the first time, that a drug that promotes resolution of inflammation and repair is a viable option, when the drug is delivered directly to plaques via nanoparticles,” said Tabas. To be ready for testing in humans, the team plans to fine-tune the nanoparticles to optimize drug delivery and to package them with more potent resolution-inducing drugs. “We think that we can obtain even better delivery to plaques and improve healing more than with the current peptides,” , he said.